Okay, I know that sounds a bit weird, but it’s true. The latest trailer out for Darksiders II is a live-action short video that brings the character Death vividly to life. It’s one of the best live-action trailers I’ve seen, albeit cut a bit short. More studios and developers are making the move to live-action marketing these days, and it’s a good decision. Now I want to see all my favorite games as live-action films! In the trailer a priest stands at an altar, reading a passage from the bible. As he voices the written word, darkness befalls the church. An unknown entity rocks the front door. It smashes it repeatedly, again and again. The priest speaks louder, mentally forcing the words harder from his throat. Then all of a sudden the banging stops. A bloddied blade pierces a hole through the wooden door, and the priest peers out through it. It is then that we finally lay eyes upon Death as he storms off to face a ton of hell’s minions as we fade to black. 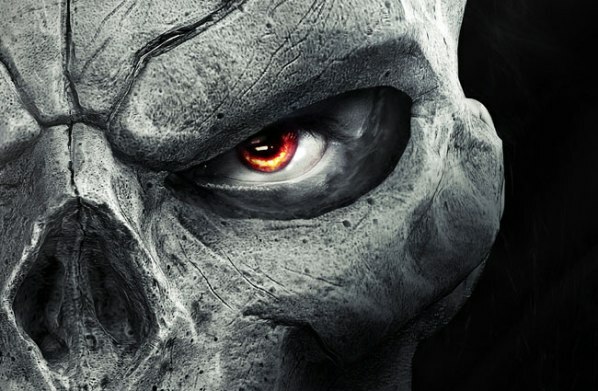 Darksiders was an amazing game and its sequel is quickly building to bring the same kind of excitement. Darksiders II tells the story of Death, one of the four horsemen of the apocalypse. Death’s brother, War, is under the gun by the Charred Council. If you played through the first game then you’ll know that War is in hot water because he was summoned to Earth which brought about the war between angels and demons. You discover that the seals, which are in place to keep the horsemen at bay, haven’t been broken and War has been set up. In Darksiders II Death sets out to clear his brother’s name by any means necessary. Check out the trailer below, and get ready for the game as it’s set to release on August 14th.